It is known that Facebook does not have the greatest track record with its Android app. Since it was launched, users have been complaining about performance issues with the Facebook App as well as its battery guzzling feature. The matter is being taken seriously by Facebook even as chief product officer, Chris Cox asked FB employees to ditch their iPhones and move to Android until the engineers sorted out all the issues with the Facebook App. However, both the performance and the battery usage issue are yet to be sorted out. This prompted Android blogger Russell Holly to dump the app. Holly’s decision to dump the App spawned an chain reaction in the Android community. Many Android users dumped their Facebook app to study the performance their Android smartphone post Facebook App. Prompted by Holly’s revelation that life on Android was better without Facebook’s app, Reddit user pbrandes_eth tested the app’s impact on the performance of an LG G4. 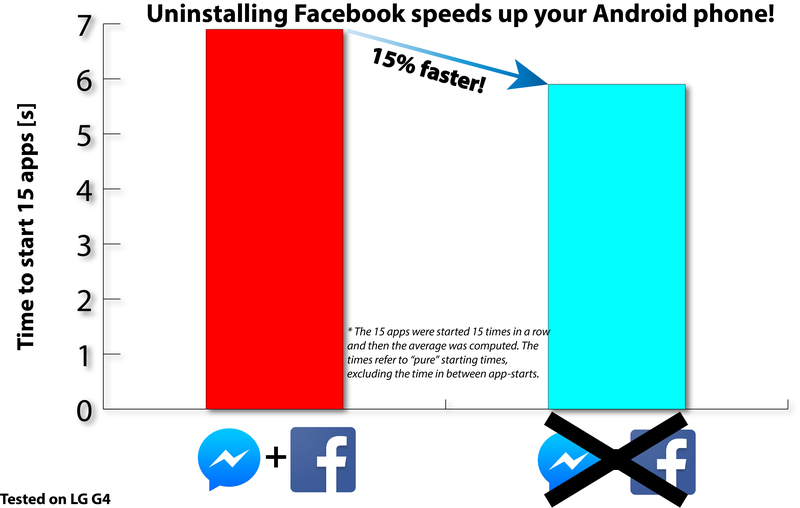 He found that as soon as Facebook and Facebook Messenger apps were uninstalled, other apps on the smartphone launched 15% faster. He also found that the battery life of his Android based LG G4 increased by 20% post the uninstall. He 15 separate apps viz. 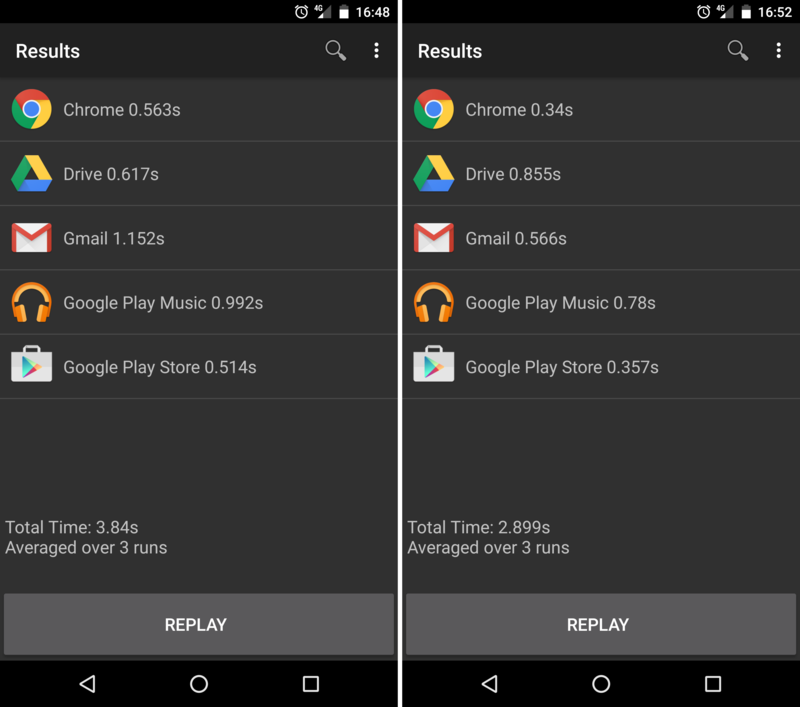 20 Minuten, Kindle, AnkiDroid, ASVZ, Audible, Calculator, Camera, Chrome, Gallery, Gmail, ricardo.ch, Shazam, Spotify, Wechat and Whatsapp, using DiscoMark benchmarking app (available in Google Play) and documented the findings, leading other reddit users to test other devices. Many other users have supported Holly’s ditch Facebook App campaign. One thing is for certain, if you dump FB App and Messenger, you can have a faster, more comfortable experience on your Android smartphone. It is time you used Facebook only in browser till FB engineers find time to release a optimal App.